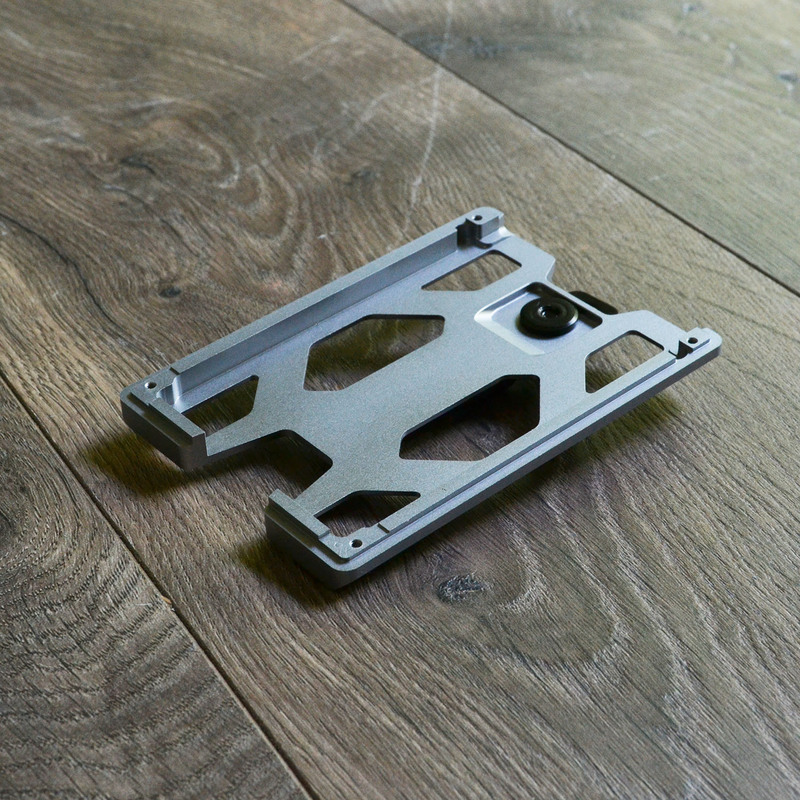 The body frame of the badge holder is machined one by one by CNC machine. 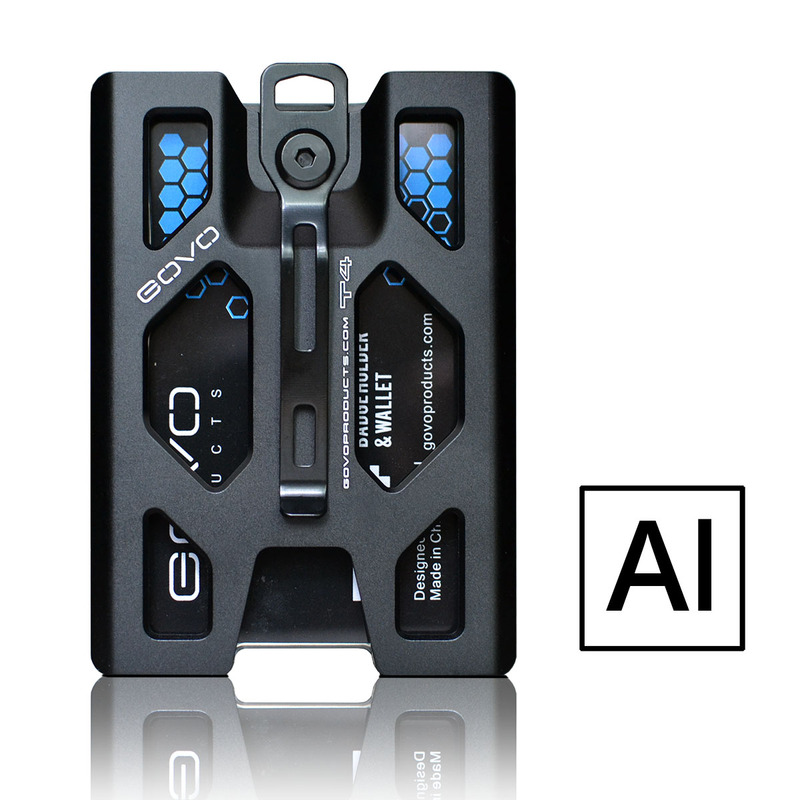 This technology allow each of the badge holder’s body frame made from one solid piece of Aluminum. 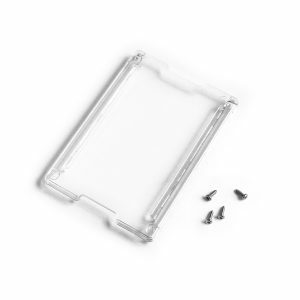 The screen is made from transparent polycarbonate. Badge holder, wallet 2 in 1: It holds 1-4 cards allowing you to use it as a wallet as well. 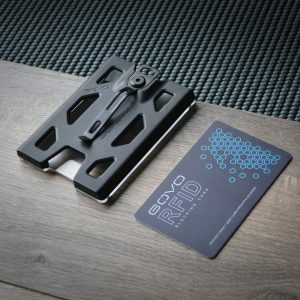 Easy to carry: This badge holder/wallet allow you to carry it with a lanyard or clip on your belt, pocket, keychain, backpack, etc. 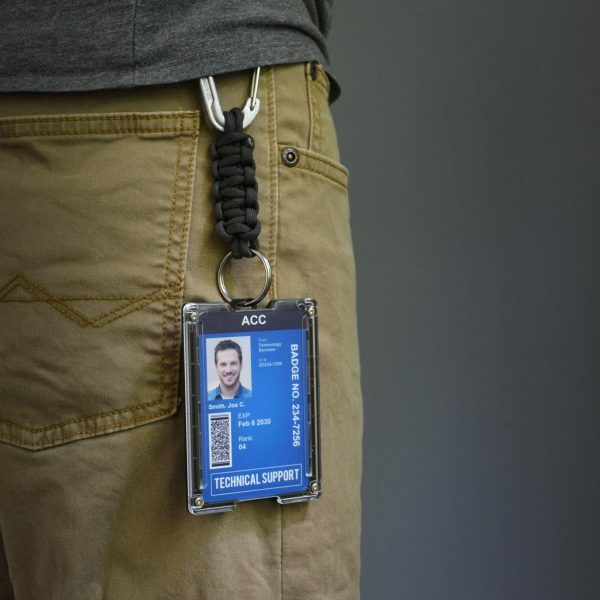 Built-in metal connector: The clip/connector for lanyard or keychain is made from manganese steel and secured by steel fastener to the holder. 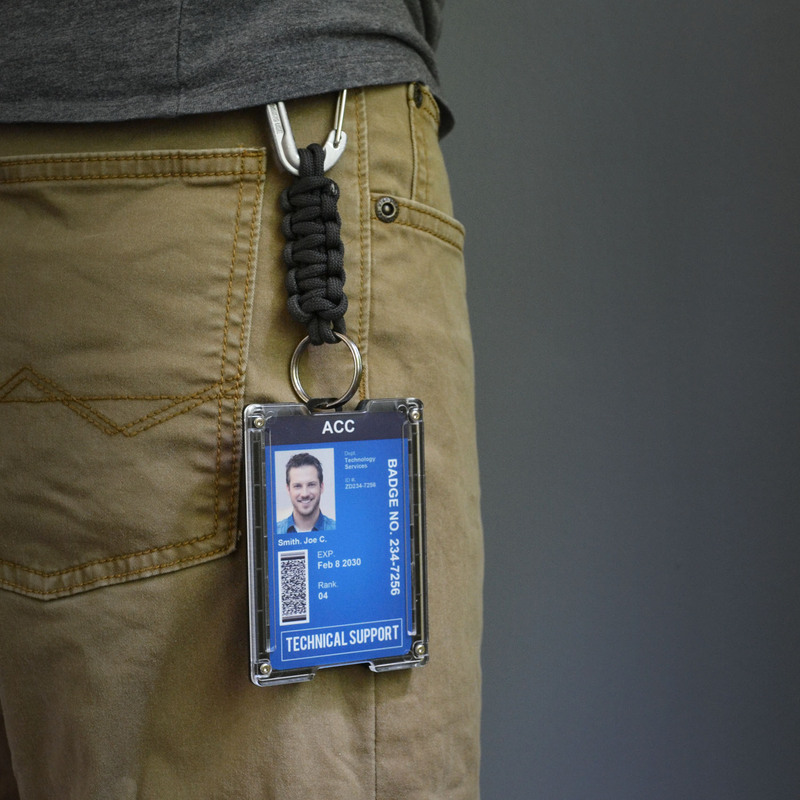 No worry of broken connector that might let you lost your ID badge. Steel spring card holding system: No matter it is loaded with 1 card or 4 cards, the internal spring card holding system holds the card(s) securely. Unlike plastic snaps, steel spring keeps its’ elasticity almost forever. Screen with improved transparency: Barcode, photo or small texts are clearly visible from the screen made from high transparency polycarbonate. Anti-Scratch design: Ribs on inner screen prevents scratches being made on inner side of screen when moving cards in and out. 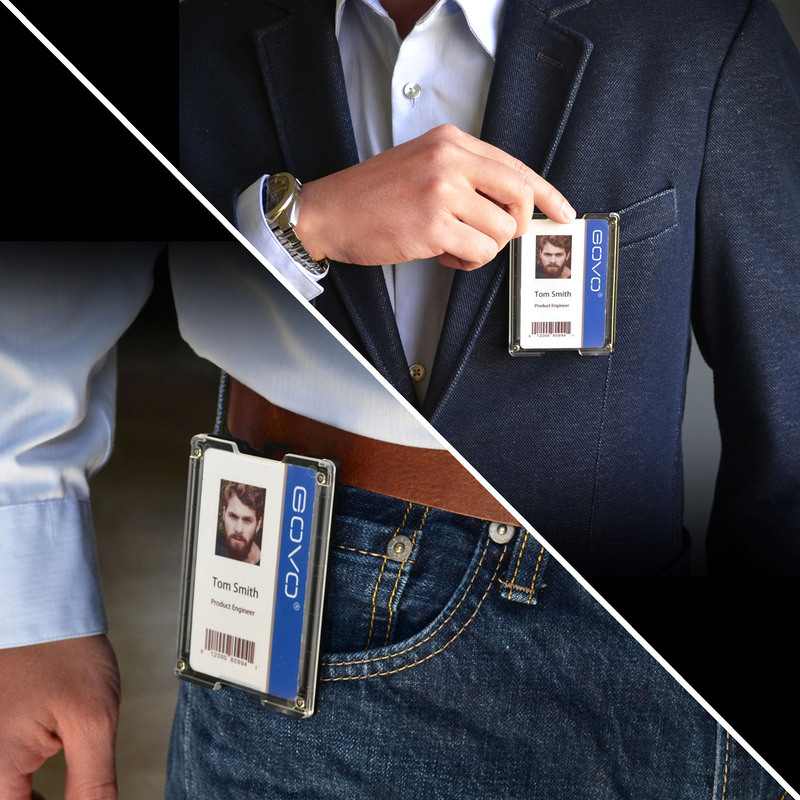 Many of us need to carry an ID badge to work every day. 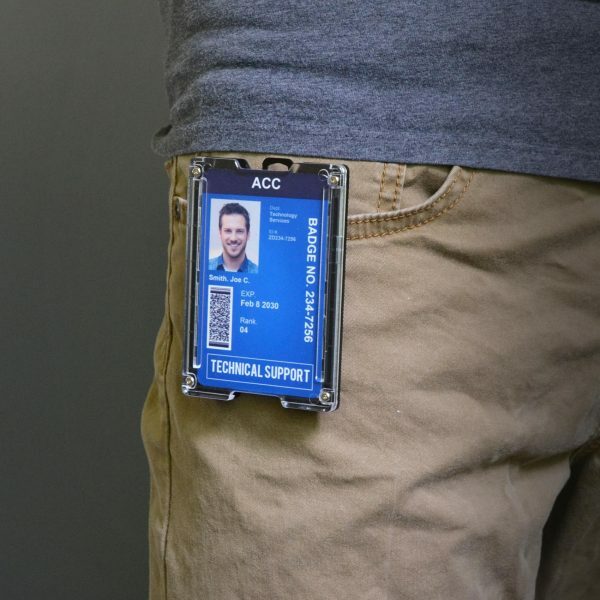 However, there are many inconveniences we found when carrying a work ID. 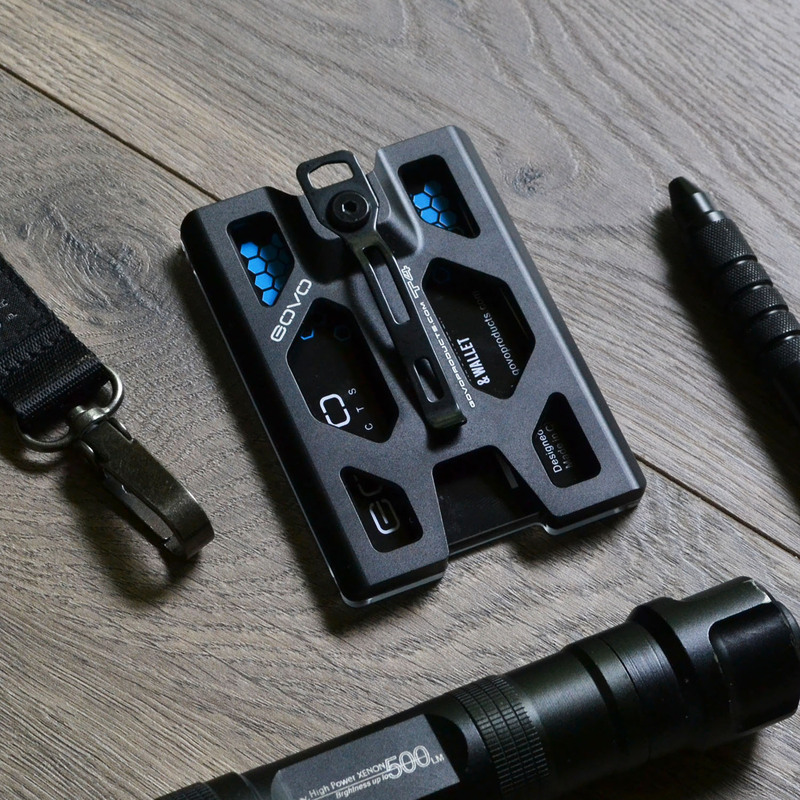 From there we set our goal to build a badge holder that not only brings good experience of use but also can be used as a wallet to simplify items we carry. 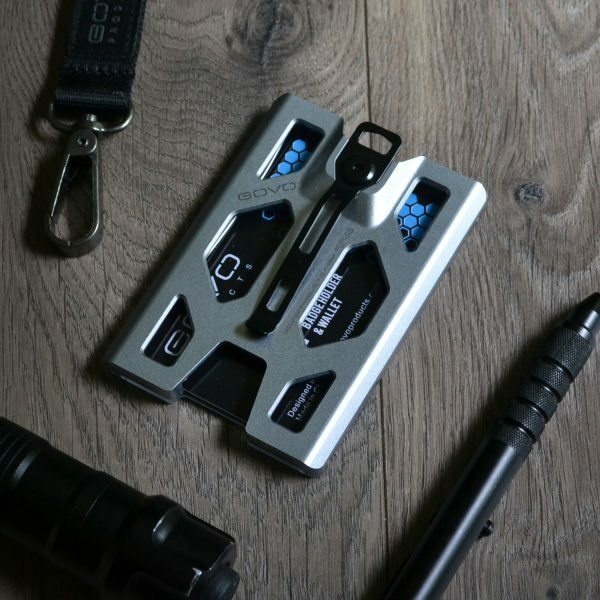 The construction of GOVO Badge Holder/Wallet is inspired by military gears that require durability and light weight at the same time. 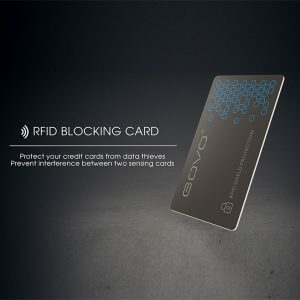 GOVO Badge Holder/Wallet is built to last. 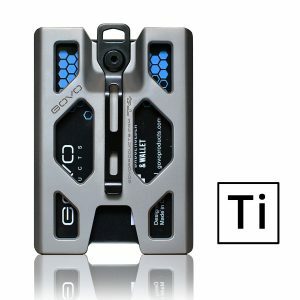 From the office, to the outdoor working field, GOVO Badge Holder/Wallet is there by your side and has your back. 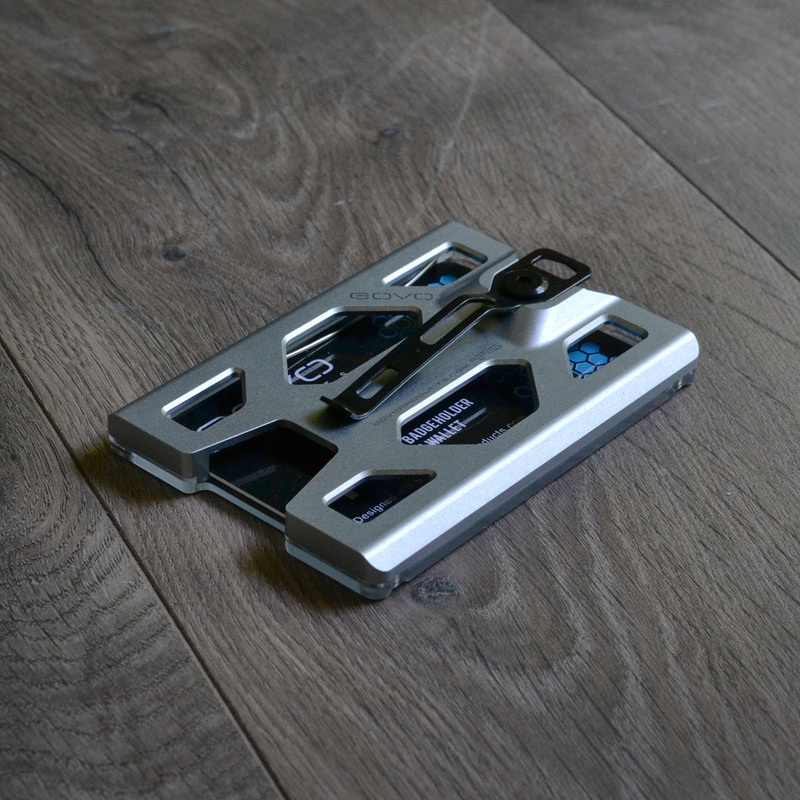 The Aluminum version of GOVO T4 Badge Holder/Wallet is machined one by one by CNC machine. This technology allow each of the badge holder’s body frame made from one solid piece of Aluminum. Absolutely perfect! By far the best ID holder made. No more wasting money buying ID holder after ID holder after they keep breaking, or wearing my IDs image out. If you have to wear an ID every day for work like I do, do not hesitate to make this purchase. It’s worth every penny. Quality is second to none.